Up to now, crypto-assets have failed to satisfy the fundamental roles of ‘money’. Their deficiencies (primarily associated with the drawbacks of Bitcoin) have offered an excuse for inaction in developing Central Bank issued digital currencies that offer lower transaction costs (amongst other benefits) than existing forms of electronic money. The cogs of innovation however do not stand still, and electronic tokens constantly improve on transaction speeds, safety, privacy and -potentially- storage of value. 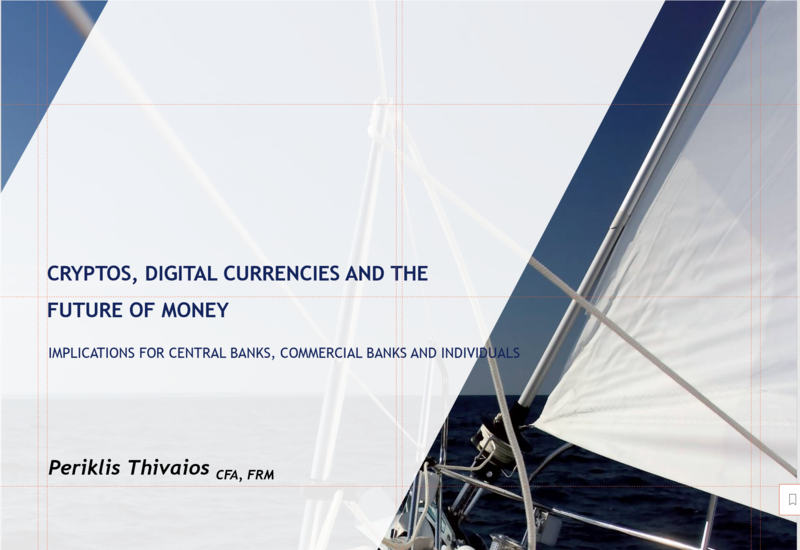 We envision a competitive path towards money digitisation, with Central Bank issued digital currencies and cryptos vying for consumer preference and trust. 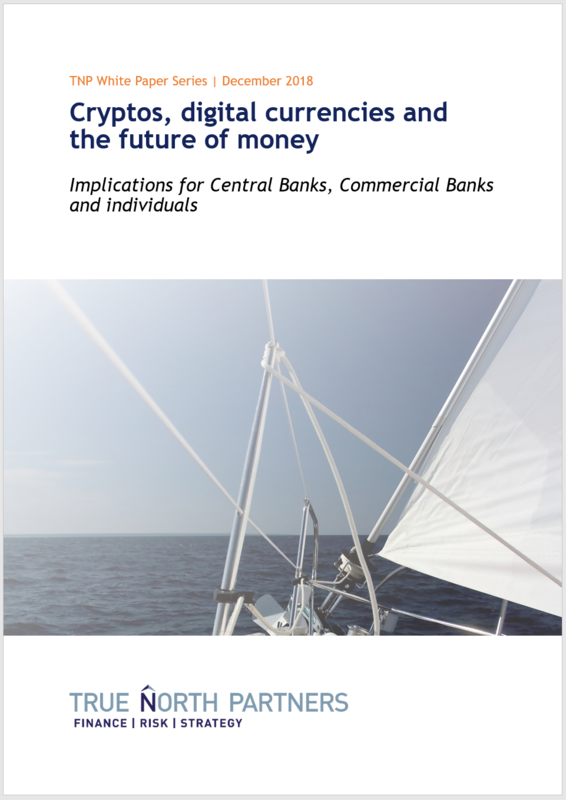 Even though it may appear to be early days, our opinion is that there is an imperative for Central Banks (primarily) and for Commercial Banks (as a consequence) to thoroughly analyse the implications of future scenarios for their role in an increasingly digitised monetary universe. Nobody can control the future; but when it comes to the issuance and use of money, Central Banks should at least try to influence. 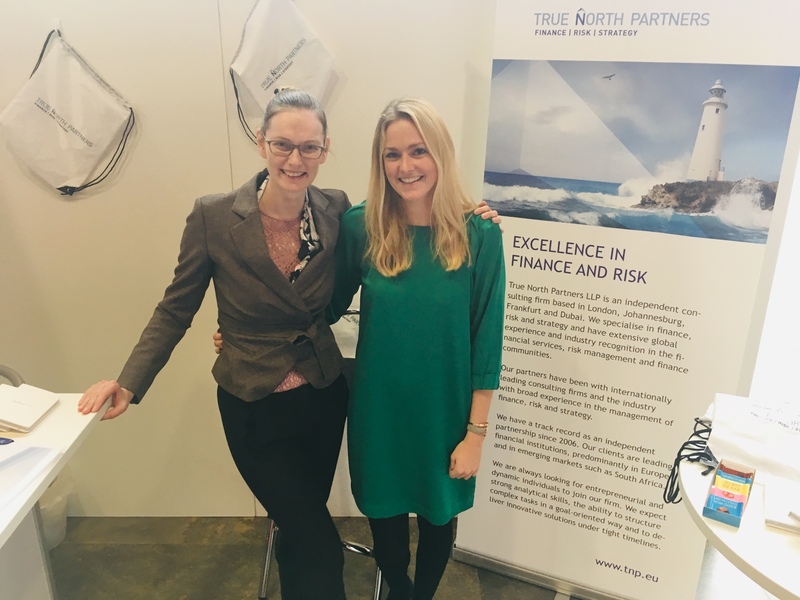 Download the white paper here and e-mail us for more information info@tnp.eu. 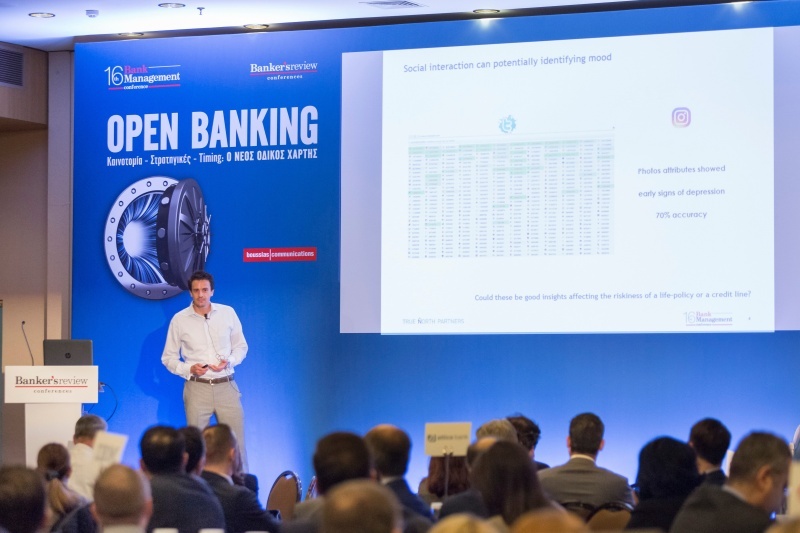 We are proud that TNP was asked to participate as “keynote international speakers” at this year’s “Open Banking” conference. Open Banking is the largest banking conference in Greece with praticipation from all Greek Banks. 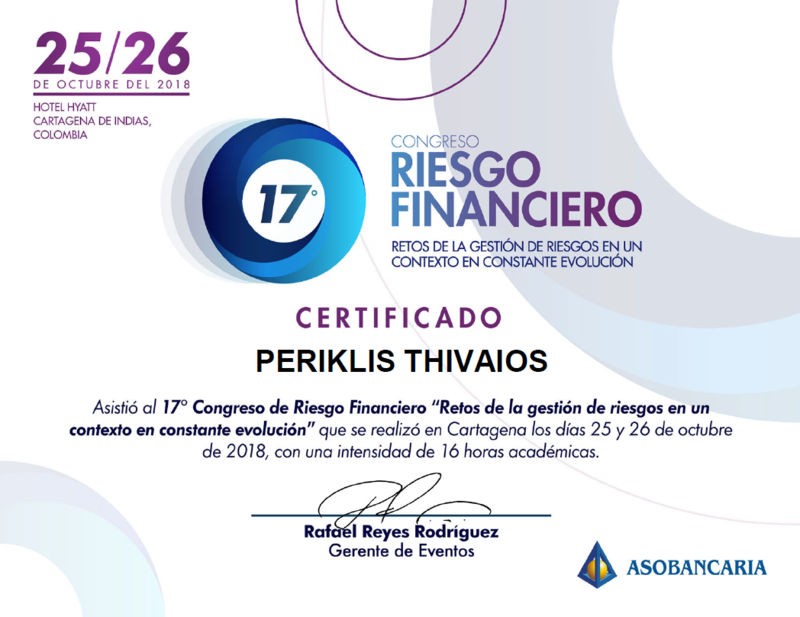 The conference focuses on the factors driving the transition to Open Banking and the requirements for embracing innovation, new trends, solutions and services at the Financial, Technological, Business and Institutional level, as well as on formulating strategies by taking into account the timing parameter in the design of a sustainable Roadmap. One of our partners, Dimitri Anagnostopoulos presented on “Artificial Intelligence, Machine Learning and Big Data: Big insights or Big problems? Are you sure you’re ready for this?” and took the chance to have in-depth discussion with the audience on the future of banking. If you are interested to learn more feel free to reach out to us at info@tnp.eu. We are proud that one of our partners, Dimitri Anagnostopoulos, contributed to the making of “The InsurTECH Book”, sharing experiences and opinions with other thought leaders in this space. The book offers essential updates, critical thinking and actionable insights globally from start-ups, incumbents, investors, tech companies, advisors and other partners in this evolving ecosystem, in one volume. For some, Insurance is either facing an existential threat; for others, it is a sector on the brink of transforming itself. 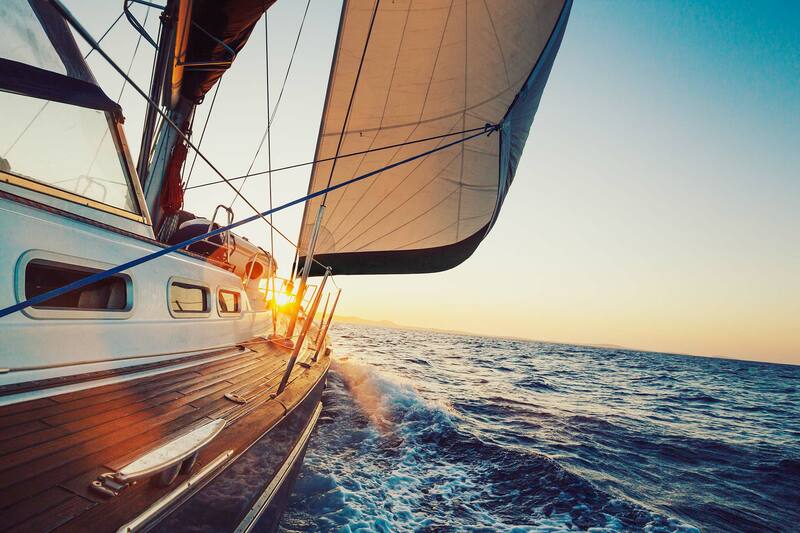 Either way, business models, value chains, customer understanding and engagement, organisational structures and even what Insurance is for, is never going to be the same. Be informed, be part of it. 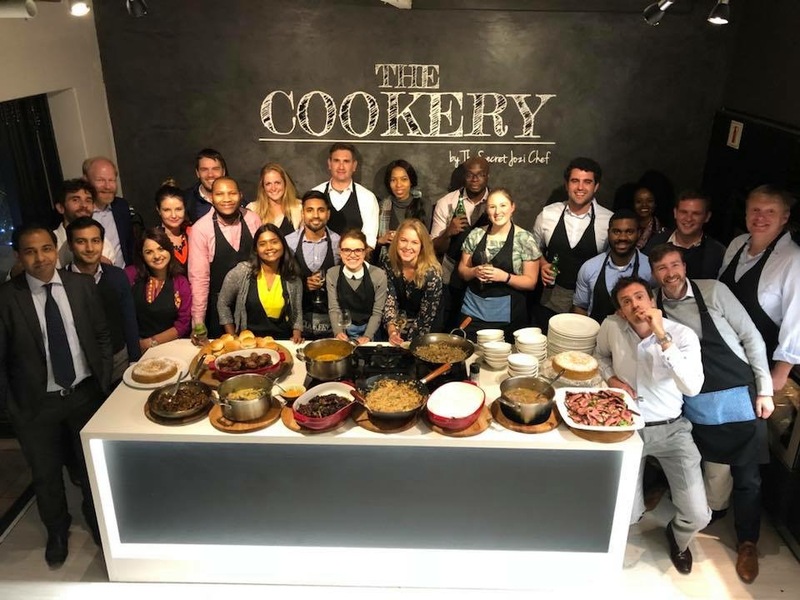 In December 2018, two of our colleagues were on the lookout for new talent in Frankfurt to further strengthen our team. We had a lot of interesting talks with students from Goethe Universitys and took the chance to tell them more about our company. We hope to welcome some of them to our team in 2019! 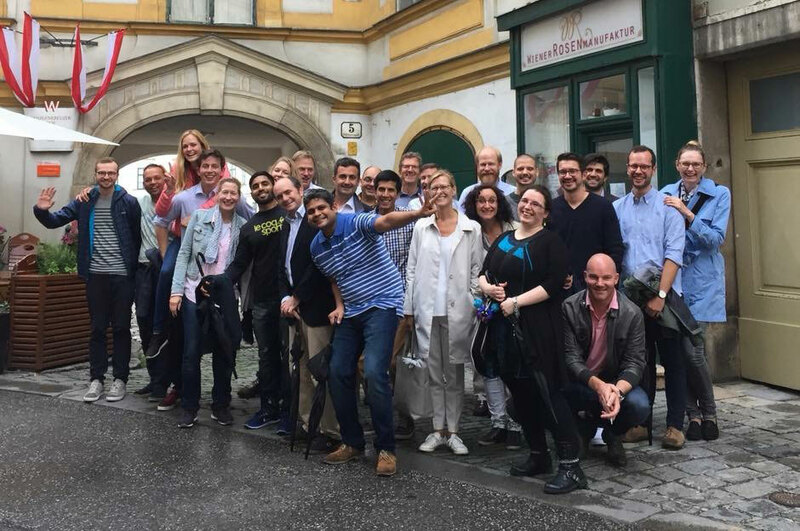 In June 2018, nearly all colleagues from Continental Europe as well as two “guests” from our South African office, took the chance to gather for a regional firm day in Vienna. Next to internal presentations, two trainers from London supported us in improving some of our soft skills. The evenings were filled with the soccer championship, good food, sightseeing in Vienna and a lot of chats with colleagues. We had a wonderful time together and are already looking forward to our next meeting! Working together – no problem at all. Cooking together – even better! Some of our South African colleagues accompanied with by some colleagues from Europe proved that we are a real team also beyond projects. After each group finished cooking two meals, we enjoyed a wonderful dinner buffet at the cookery.